I did not happen to discover Brusco while I was passing by. I was invited to try their bruschette the other night. Judging from the very positive reviews I read about them, I was looking forward to have my own bruschetta to sink my teeth into. 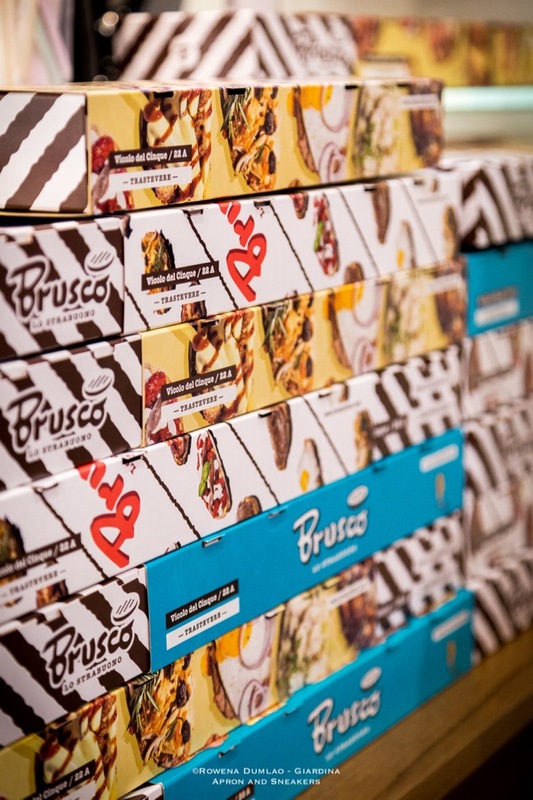 At Brusco, your bruschetta dream comes to a reality with some traditional Italian recipes resting on top of bruschetta. Feel like having Spaghetti Cacio e Pepe on your bread? What about Lasagna al Ragù (Meat Sauce)? There are also Carbonara and Parmigiana. There are twenty combinations to choose from with a couple of sweet options for the ones with the sweet tooth. Among the twenty savory combinations, three can be good for vegetarians which are Cacio e Pepe, Sciccheria (anchovies are optional), & Fuori Norma (Eggplant "Norma" style). 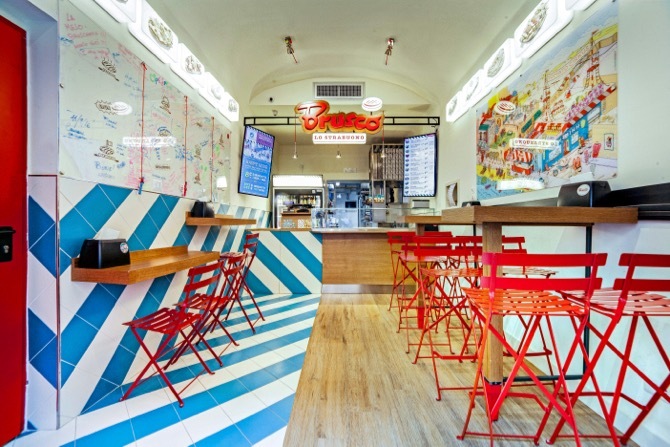 The sweet combinations is the Crema (custard cream and pine nuts) or simply Nutella. 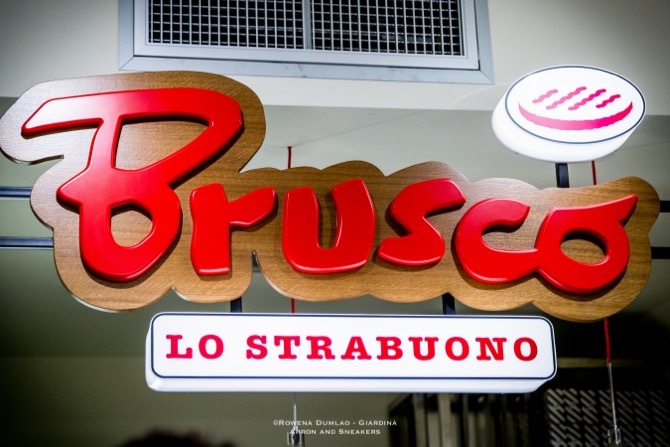 Brusco also extends the menu to the little ones with the Kids Menu with a choice of Mini Wurstel (Hotdog) Sandwich Bun or Mini Cotto (Ham) Sandwich Bun plus Bread and Nutella and Coke. With the twenty options, it is not that easy to choose which one is the best to try. 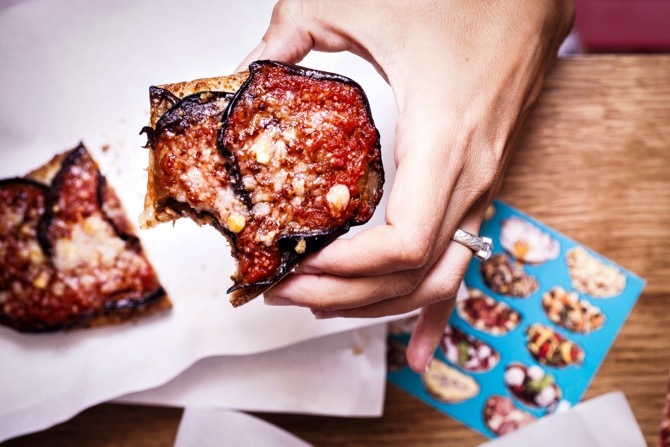 One bruschetta is generously filled with the topping combinations so just one can already be filling. Between me and my husband, we were able to get two combinations each that we shared. My advice is to arrive hungry because most likely, you would want to try more than one combination. 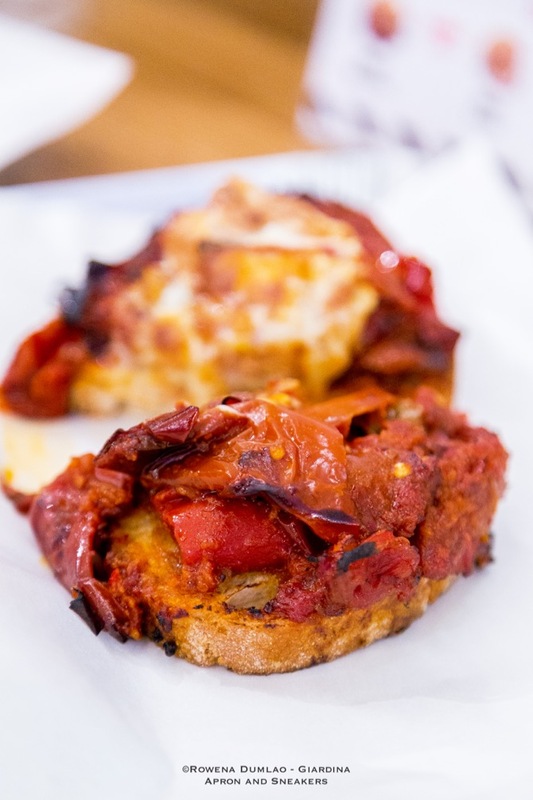 The Brutale is marked hot because of the the ingredients used which are nduja, a spicy spreadable pork salume, peppers and provola cheese. It is explosive with great flavors and if you want it to be a tad more flavorful, you have the option to add a friggitello (sweet Italian pepper) on top. 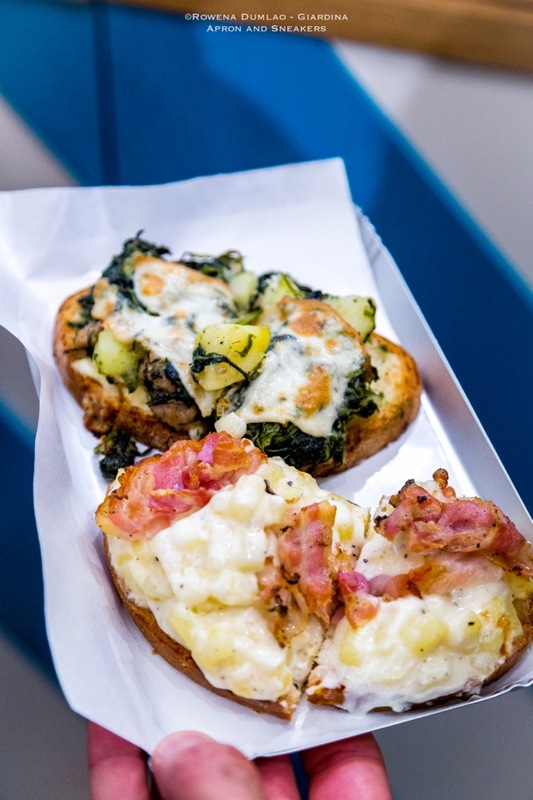 Of course the Strabuona combination is a must try for its rich combination of mascarpone, potatoes and pancetta. 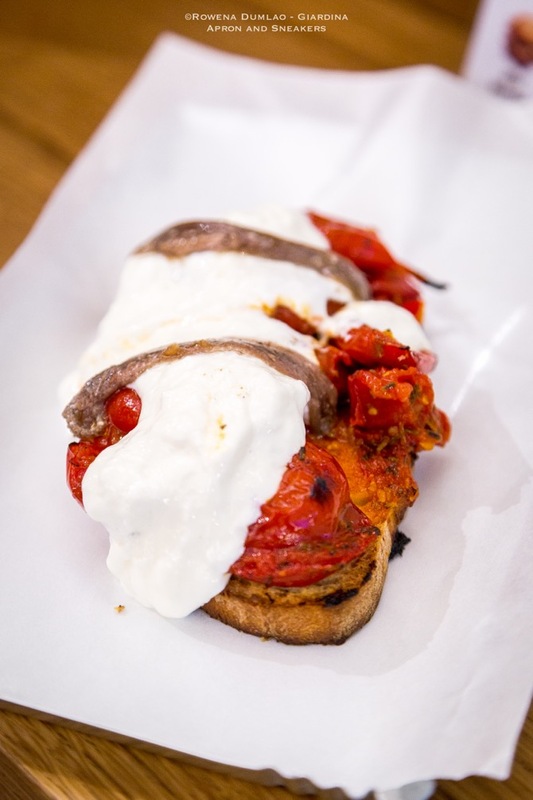 The Sciccheria is simply delicious with the lightly sweet tomato confit mixed with the burrata. If you are not vegetarian, it's best to add the anchovies to make the taste complete. You don't need to be a lover of chicory to fall in love with the Campagnola because its combination is definitely one of the best because it has all the flavors held together in one place. It's hard to define which one is the best among the combinations I have tried because every single kind has a particular blend of flavors that are unique from the others. 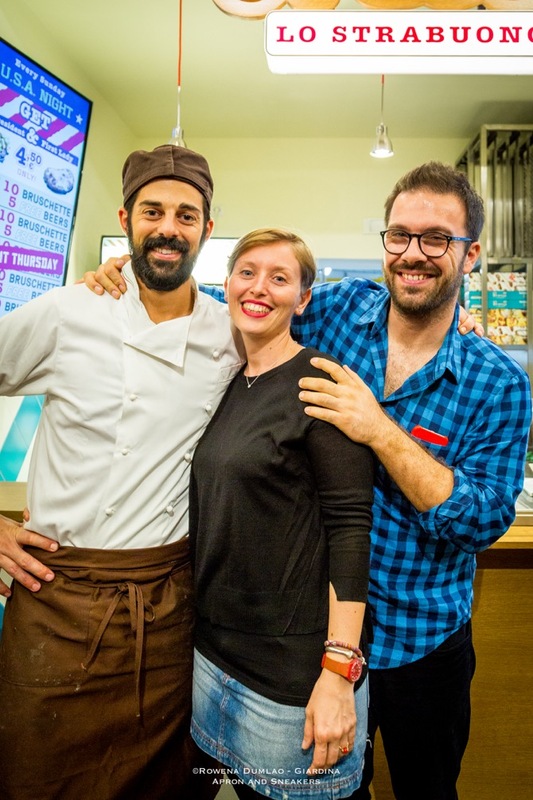 Brusco's bruschette is a brilliant way to go familiarize your way to the traditional Italian flavors and to discover new combinations of tastes too. 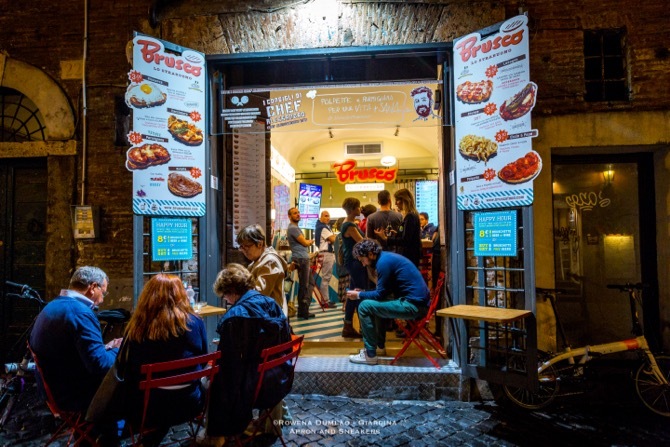 Being in Trastevere, the lively part of Rome, Brusco remains open until the wee hours of the morning for quick late snacks. They also offer the home delivery service through Deliveroo. 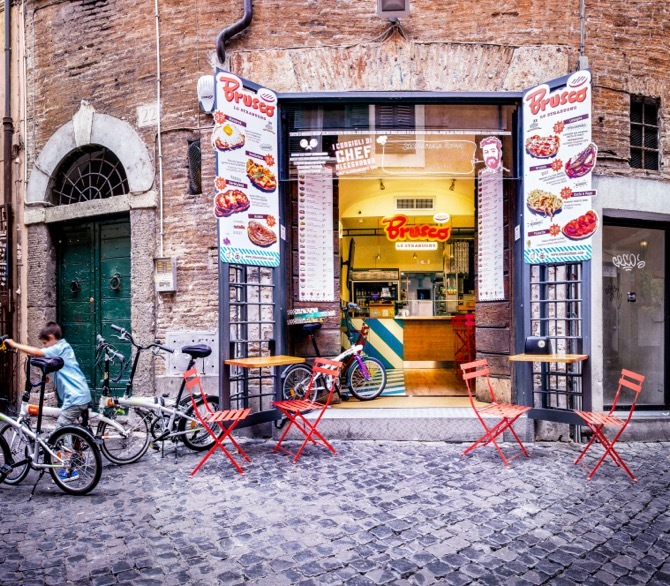 Abbiamo considerato le ricette più buone della tradizione italiana e le abbiamo sperimentate e rivisitate fino ad arrivare alla scelta delle preparazioni che, a nostro avviso, si combinassero al meglio con il pane bruscato.